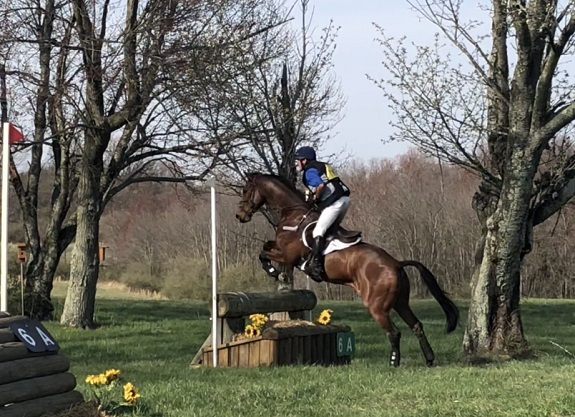 'Fraidy Cat Eventing: Fair Hill CIC 1* Cross Country!! This past weekend was one of many horse shows for me. Unfortunately none where I actually got to ride bc.... well.... Charlie's still living the high life, resting from his recent popped splint. But I gotta get my fix somehow, right? 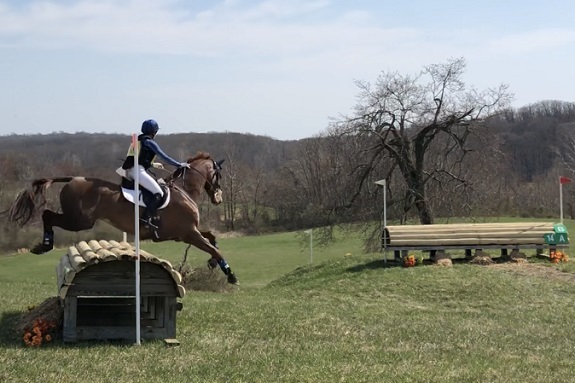 Saturday morning was devoted to stewarding the show jumping ring at a small schooling CT hosted at my barn, and it was super fun! Mostly barn friends riding, plus a surprising number of ship-ins too. Made for a great day in the sun and warm weather. Tho, luckily also an early day - we were done by 1pm. Just enough time to scoot up the road to Fair Hill! 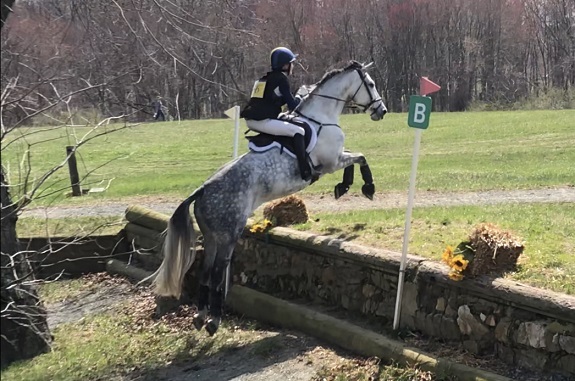 The spring CIC 3/2/1* event was this past weekend and I was bound and determined to spectate at least a little of it. and oh btw, there goes Olivia Dutton living out all our girlhood dreams with Mr Medicott!! they looked great!! 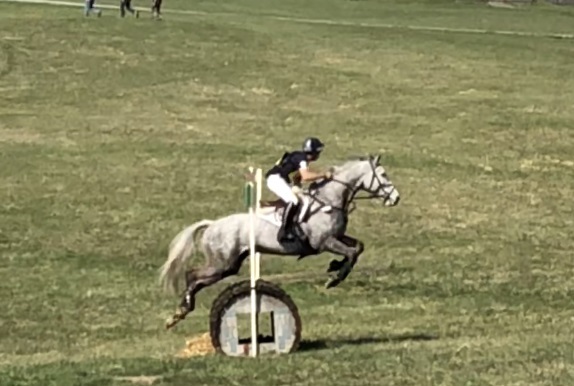 The Advanced, Intermediate, 3* and 2* cross country all ran earlier, plus ran on the other side of the property from the 1* and Prelim, but that was ok. 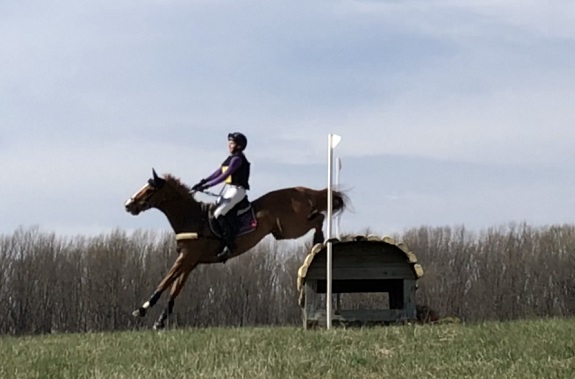 I really enjoy watching higher level cross country no matter the level, and figured the 1* would be just as exciting. Especially considering the novelty of watching the higher level go across the same lanes I've ridden at the venue haha. Tho actually I ended up a bit surprised by just how interesting it was to watch this level run. We're really lucky in my area to have a lot of upper level events all throughout the year. And, as such, I've been spoiled by getting to observe a fair number of 3* rounds. Which, like, awesome right?? While watching this 1* course tho, I was reminded of something former trainer Dan used to always tell me. He'd say that while it was cool to watch the greats like Philip and Boyd cruise around Advanced tracks, I'd actually learn more by watching them on their lower level horses. His reasoning being: The 3* horses are so well schooled, so experienced, and so polished that it can be a lot harder for a mere mortal like myself to really actually see the rider at work through the combinations. 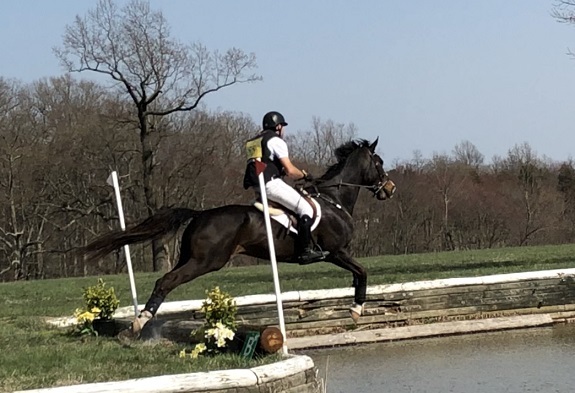 Compared to, say, a world class professional rider on their novice or training horses who are less schooled, and therefore require a bit more obvious riding. And while clearly these 1* horses were all pretty freakin awesome (seriously tho, even riders who ended up having a little trouble, it just seemed like honest mistakes) -- it was pretty cool to still be able to really see the riders working hard to pilot the horses through the combinations. Like sometimes it's nice to see reminders that, yea, it's actually not that easy lol. Except for P Dutty lol. Damn that man, but he makes everything look like the simplest exercise. 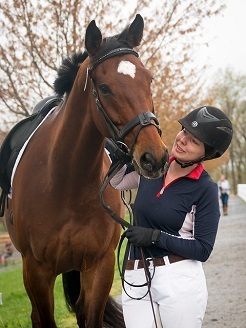 Plus it was pretty neat to get up close and personal with the Training, Prelim and 1* courses. While many of our local starter trials offer T divisions (and a few now also offer Modified too! ), we don't often get to see full P courses set up and ready to go. And I'm a bit of a course walking junkie, idk why. But I feel like there's a lot to learn even from walking courses well above my own level. 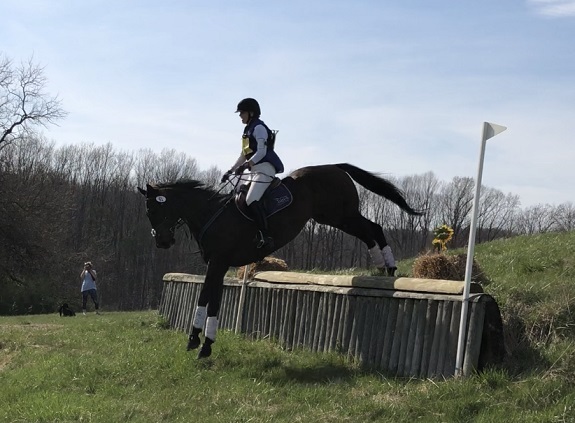 I ended up arriving on the grounds a little ahead of the 1* start time anyway, so what better way to occupy myself than walking the T course? Obvi Charlie and I are quite a distance from that level at present (considering, uh, yea we've done all of 3 BNs haha), but why not, right? I have a couple new apps on my phone too that I wanted to try out. More details later - I'll probably end up posting about the entire course for the sake of delving into the art of course walking plus the performance of those apps - but I'm kinda pumped about them. Mostly tho, it was just a pretty nice way to pass a sunny warm afternoon. 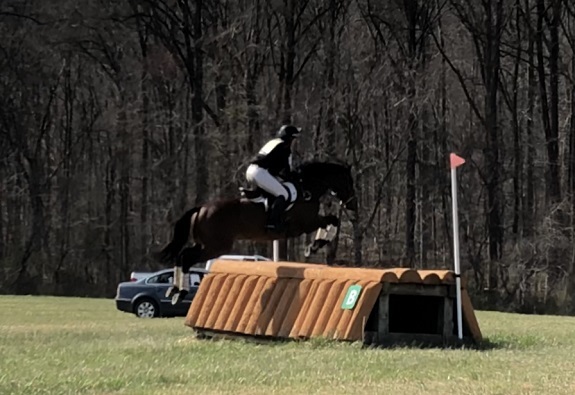 The 1* division wasn't really very large, but after a lengthy hold on course (rider went down hard a corner and was pretty banged up, but I believe she was ok after leaving in an ambulance) and then watching the full division and the start of P, I was pretty tired. So I ended up not staying for the full P course - esp considering it was just a shorter, easier version of the same course I had just watched. But I *did* get a fair amount of footage from the 1* course! Actually there was only one section I didn't see (it diverged pretty wildly from the T course at that point to I guess cover more distance) but I'm guessing it was just a single galloping fence and not a combination or anything. Otherwise, all the fun combinations are caught with a few riders each in the video above - including the water, and two bank combinations (including a CRAZY down bank that, yea..., no thanks to that noise haha). honestly not a bad way to spend a day! So I hope you enjoy it. If for no other reason other than maybe it's a nice distraction from the fact that today is somehow Monday, again?!? Anyway hope everyone else had a nice weekend too. It was super warm and sunny here on Saturday, then cold and rainy and stormy on Sunday. Kinda tricky spring weather lol, but no rest for the weary, right? Did you get out to do much? Any fun riding? Or a quiet weekend for laying low? I wish I had made it over there Sat. I got back from Dad's sat afternoon then went out to the barn and no way was I going yesterday WTF weather?? Jess from my barn jump judged and said it all went pretty smoothly so that is good. Boy you did have a busy day. 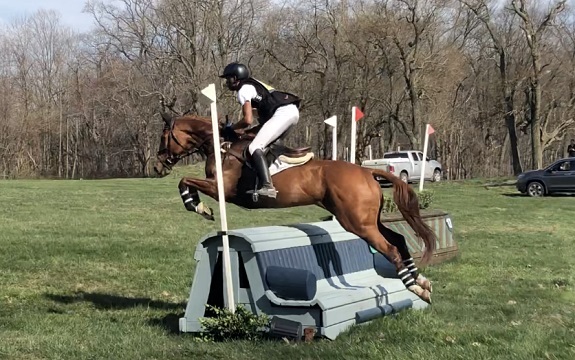 But Sat was sure a pretty day to look at pretty horses jumping pretty fences (Hope you wore sunscreen it was HOT That day)! 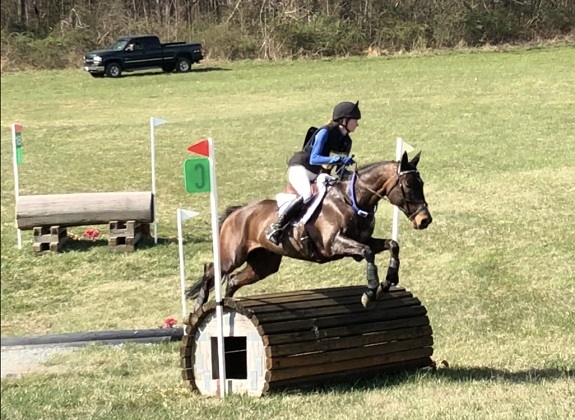 i had kinda wished i could go earlier and see the advanced and intermediate divisions run, but then again volunteering at my own barn was pretty fun. the 1* was definitely cool tho! and aside from the one rider fall, it mostly seemed to go well for most riders! re: the starter trial, it's not looking like we're going to make it this year. which makes me kinda sad, but that's just what it is. yea i'm sorry to miss it but there's not much to be done about it! Sounds like the perfect day to enjoy some lovely horse shows even if Charlie is doing the Charlie thing :) Hope you stayed dry and warm on Sunday! 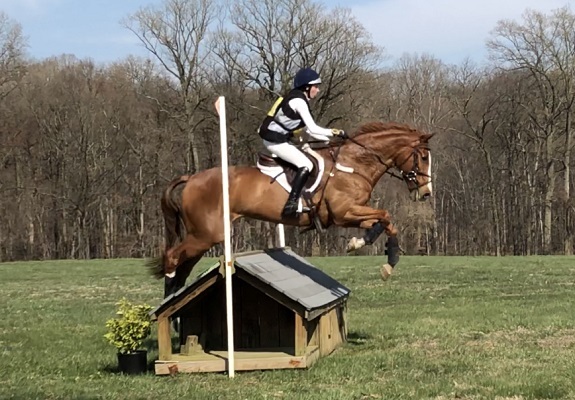 it kills me how casual he always looks.... tho i guess when you've already taken a couple horses around the 2* and intermediate tracks on the same day, the prelim just feels easy? Totally agree that while it's super fun to watch the 3*/4* rides, it's so much more educational to watch the pros on the young horses. When my trainer rides his 2* horses it just looks fluid, but put him on his OTTB? Totally different. So cool that you got to go watch this! The 1* course looks nice! Level appropriate but nothing insane. Definitely post the T course, I always like looking at the courses from other parts of the country (I do it all the time on My Course Walk because I'm that kind of weirdo). 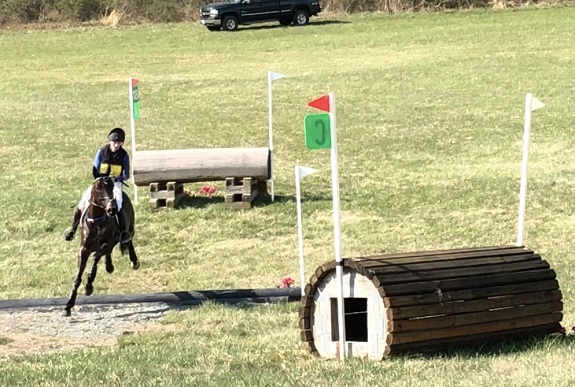 the 1* course was definitely nice. from my own riding perspective it looked intense, but from a level perspective it might actually have bordered on "easy." the training course felt similar. 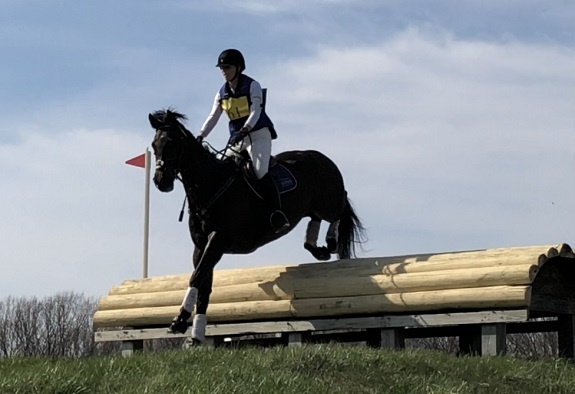 fair hill isn't exactly flat, and the course traverses some serious terrain, but very little of was woven in with the jumping elements. two of the three T combinations actually looked a bit on the easy side (esp the half coffin which i'm 95% certain would not have been shocking to see on an N course), plus it didn't have a single down bank which i thought was interesting. but yea, i'm going to post the full course plus a little meta data on it. 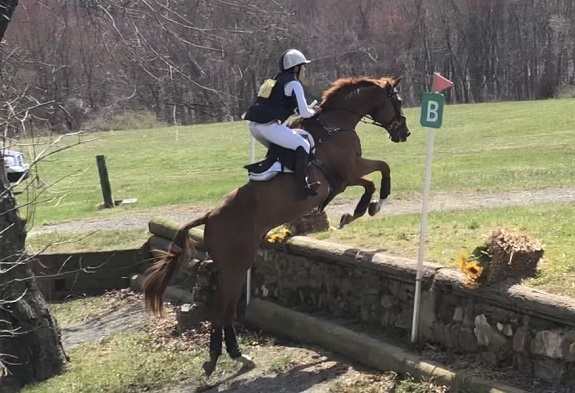 pictures are so hard (esp the type that i'll be sharing) for conveying a true sense of the jumps but i'll try! Compared to the 1* courses I've seen, this one does look a little bit softer than some. I like it though, the combos are plenty technical and a lot of the bigger fences are quite forgiving, with all the rounded faces. It's not like giant square tables, super vertical uprights, tons of corners, etc like you're starting to see so often. yea agreed. it looked like you had to know how to ride the level to get through, and none of the jumps were small. i thoroughly enjoyed watching it for sure! Wow, that combo with the turn and then the down bank! I definitely think I would miss that turn haha. My best friend ran her first 1* in Ocala this weekend and I'm a little in awe of her, not gonna lie. 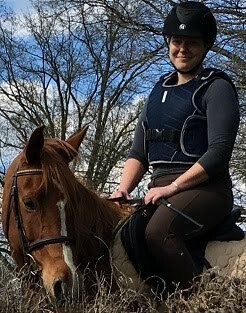 And all on an OTTB she's put every ride on. Like, I wanna be you! wow that's awesome for your friend! it takes so much to put in that work and get there, hopefully the run went well for them! I love watching the training - prelim levels at our more local events- agreed, it's really educational and I find those levels more inspiring to watch because you're more apt to see 'normal' (still way more badass than most, though!) horses and riders out there getting it done! yes that's exactly it! somehow being able to see a little more of the mechanics that go into a ride makes it easier to appreciate just how much work is necessary, while also somehow making it a bit more accessible too. that's what always gets me too - the horses just ping right over like the easiest thing in the world! Beautiful day to be watching horses run. I love the 4th picture down. The horse is in mid jump and already staring down the next obstacle. That’s a horse that knows it’s job. definitely - i LOVE that look on a horse too, hunting the fences like a heat seeking missile. plus you'll often hear people say of a well designed combination that it should "draw" the horse through it from one element to the next - that the horse can be negotiating one element of the combination and clearly see and understand how to get to the next. the combinations on this course definitely rode that way!